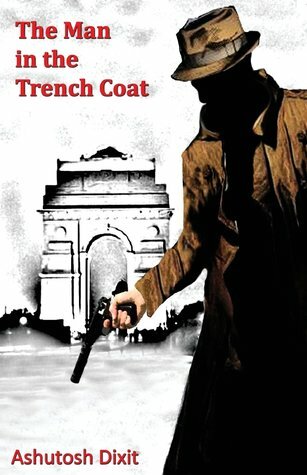 The Man in The Trench Coat is a political thriller in which a vigilante assassinates corrupt politicians for the greater good. The central theme of the book reflects a populist fantasy of a Batman style vigilante dealing with politicians in a way they deserve to be dealt with; hence the book has a great contemporary relevance. The story has a strong backing of research. With an eclectic blend of strong, relatable characters, a suspenseful ending and eloquent writing, this book is an enjoyable read. Kudos to Ashutosh for his debut work. Not the one to rest on his laurels, we can certainly hope to read many such works from the author in the near future. What starts off as a story about an idealistic, not-afraid-to-get-his-hands-dirty vigilante, soon develops into something more, something bigger than every character in the book. The content has been thoroughly researched, and laid out in an enthralling manner, which integrates very well into the story. Along with the facts and certain adhesion to practicality, the book does not shy away from the dramatic, which makes up for a riveting read. For his first book, Ashutosh has done an amazing job, and I look forward to his future work!